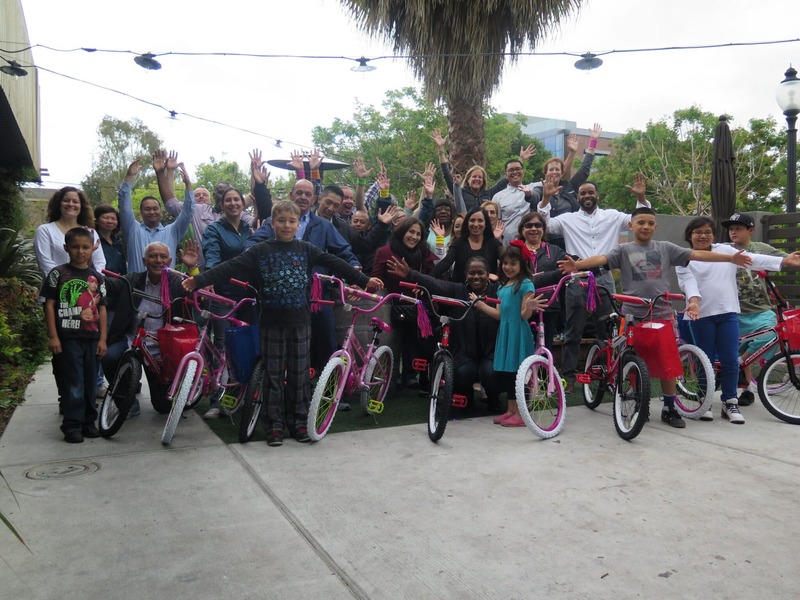 Fenwick & West LLP wanted to have a Build-A-Bike® team event to get their legal team to work together and have fun in the process. They chose The Leader’s Institute® to do the event, and came away with a better appreciation for how important it can be to rely on each other when faced with a challenge they cannot do on their own. The weather cooperated, making this outdoor event the perfect setting to build bikes and give back to the community. They were very happy to see the bikes go to kids who were absolutely thrilled to receive them. At the end of the event, participants talked about how much they enjoyed the event and the interesting ways each team went about accomplishing their challenges to build their bikes. Los Angeles instructor Chris McNeany thoroughly enjoyed working with Fenwick and West and was impressed with how dedicated they were to building safety-check approved bikes! For details about Team Building in San Francisco, California, click here.